Cleaning up around the house can be one of the most arduous tasks of keeping and maintaining a house. You want to feel good about your home, but your carpets seem to get dirtier every minute of every day. That's when a good cleaning appliance can be a blessing. The SpotClean Pro carpet cleaner by Bissell could be your helping hand! This carpet cleaner is great for anyone looking for a handy tool that can be taken from place to place with ease. There are a few reasons that this carpet cleaner is useful in this context. Firstly, it is small, thus very easy to pick up with the carry handle and brought along wherever you need to go. This carpet cleaner is also very powerful, along with being compact, so you will be able to get a strong machine that can clean most of the stains you find around the house, whether it’s on your couch, carpet or even the stairs. Additionally, the SpotClean Pro is good for large and small surfaces despite its own small size; a feature that can again be attributed to its superior suction abilities. The main issue with its mobility is that it does not have any wheels, which means that it cannot be moved from one area to another without being dragged or picked up. Luckily, the SpotClean Pro is lightweight so it's not too much of a hassle. The SpotClean Pro is equipped with a large tank that can hold a decent amount of water at ¾ gallon (2.83 litres). This means that using the machine is made simple, especially for larger surfaces, as you do not constantly have to refill the machine. Two main tools are included when you buy this carpet cleaner. The 3-inch tough stain tool is very useful in sucking out any deep stains or spills that might occur in or around your house. The width of this tool does not cater to a bigger surface area, so for any larger spaces that need to be cleaned the 6-inch stair tool can be efficient and easy to use instead. This carpet cleaner has gained great popularity thanks to its performance. Pet owners and parents with messy children (which is all children) will appreciate its cleaning power. While it is powerful, it's also pretty noisy and the hands-free mode uses a lot of carpet shampoo. It's pricey, but we think it's actually good value. You'll get a lot of use out of it and it's got good features, like the ability to clean your car. Vax are known for their products in the carpet washer niche and the V-125A is the most popular carpet cleaner in the UK. Here's our unbiased review. The Bissell Big Green is a beast of a machine and you will find few people who have complaints about it; read more in our full review. Bissell's 37Y8E Cleanview Reach Carpet Cleaner is a lightweight and advanced machine that is very easy to use; read more in our review. In our review, we explain why the SpotClean Pro carpet cleaner by Bissell could be the helping hand you need! If you are in the market for a carpet cleaner, this one is very powerful and effective. Read more in our full, honest review. The Vax Rapide Ultra Carpet Washer is a great product for those looking for a strong and vigorous carpet wash - read more in this unbiased review. 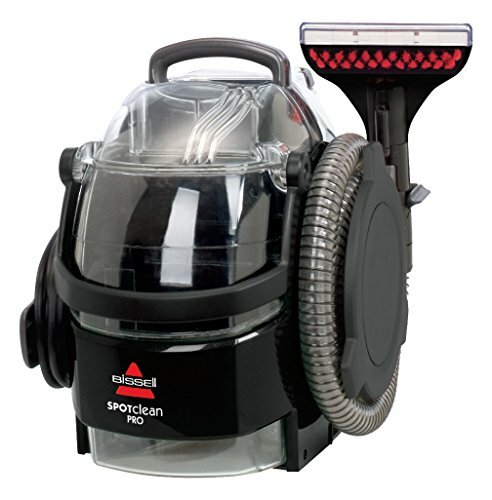 The Bissell CleanView features a power brush and add-ons to ensure that cleaning is effective. Here's our full review. The Rug Doctor Portable Spot Cleaner is a small and light weight machine that makes daily cleaning tasks easier. Here's our full review. Here's our review of Vax's VRS801 Dual Power Max Carpet Cleaner, a powerful and smart appliance that will make cleaning your carpets a breeze. This has been one of the UK's best-selling carpet cleaners for many years. Read our full, unbiased review to find out why. We reviewed the Vax V124A, which delivers excellent cleaning and has all the features that one needs to clean a carpet on a regular basis. We reviewed the Vax W90-RU-P Rapide Ultra 2 upright carpet cleaner: a powerful and advanced machine that can be used to wash carpets, rugs, and upholstery. carpetcleaner.solutions is a participant in the Amazon EU Associates Programme, an affiliate advertising programme designed to provide a means for sites to earn advertising fees by advertising and linking to Amazon.co.uk, Amazon.de, de.BuyVIP.com, Amazon.fr, Amazon.it, it.BuyVIP.com, Amazon.es, es.BuyVIP.com, and Amazon.com.